You're only chasing your shadow, the past, the past, it's always greener there. Tumbleweed Wanderers is a group of multi-instrumentalists based out of Oakland, California. They move effortlessly from rock to soul, bluegrass, and folk, blending many genres without losing their own voice. The band has been playing music together non-stop for 7 months. They are dedicated and quickly moving through the local music world, writing an abundance of new material and constantly pushing their live show to greater heights. Based out of Oakland, Tumbleweed Wanderers expanded from local following in the San Francisco Bay Area, to establishing new fan bases in San Jose, Santa Cruz, and Sacramento, in preparation for a regular tour circuit of the California Coast and the Western US. TW have played shows at a growing list of the Bay Area’s best small to midsize venues, from humble beginnings at Brainwash Café in San Francisco, Bittersweet Café in Oakland, and moving towards premiere venues such as Bottom of the Hill, the Boom Boom Room, and the New Parish. Together, they've performed anywhere and everywhere from clubs such as the New Parish, Bottom of the Hill, and the Crepe Place, as well as house parties, and street performances. TW have been seen by thousands of concert-goers, in spontaneous acoustic street performances outside of venues such as the Greek, the Fox and the Fillmore, regularly drawing crowds of enthusiastic audiences excited to continue their music experience. They have become recognizable staples of these shows by many of the regular attendees of these concerts. After a number of months in and out of the studio, their debut self-titled EP was released at Bottom of the Hill on November 25, after which they embarked on a busy three-week tour of the Southwest United States. Jeremy Lyon and Zak Mandel-Romann formed Tumbleweed Wanderers in March 2011. Sharing a mutual admiration of the "O Brother Where Art Thou" soundtrack, Marvin Gaye's "Let's Get it On" and Fleet Foxes "Ragged Wood" the two left college to pursue music full-time. They recruited keyboardist Patrick Glynn, whom Zak had played with since he was ten, drummer Daniel Blum, whom Jeremy met when he was sweeping the floors of a recording studio, and singer / banjo player / guitarist Rob Fidel, whom Jeremy met at an open mic on the first day of college at UC Santa Cruz. Young and energetic, this group will get you rocking and dancing the night away. 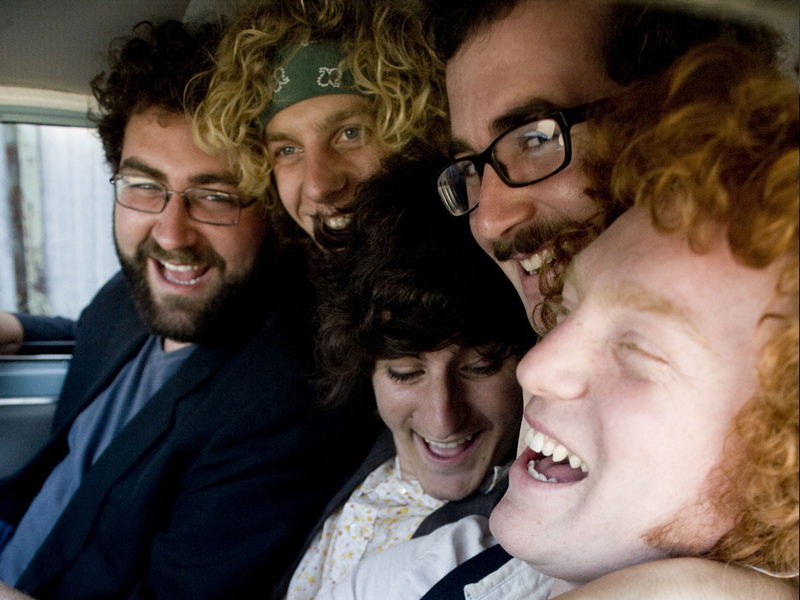 The Wanderers are reminiscent of Dylan, Crosby Stills Nash and Young and Simon and Garfunkel. Their voices and instruments bring a youthful freshness mixed with old soul wisdom.